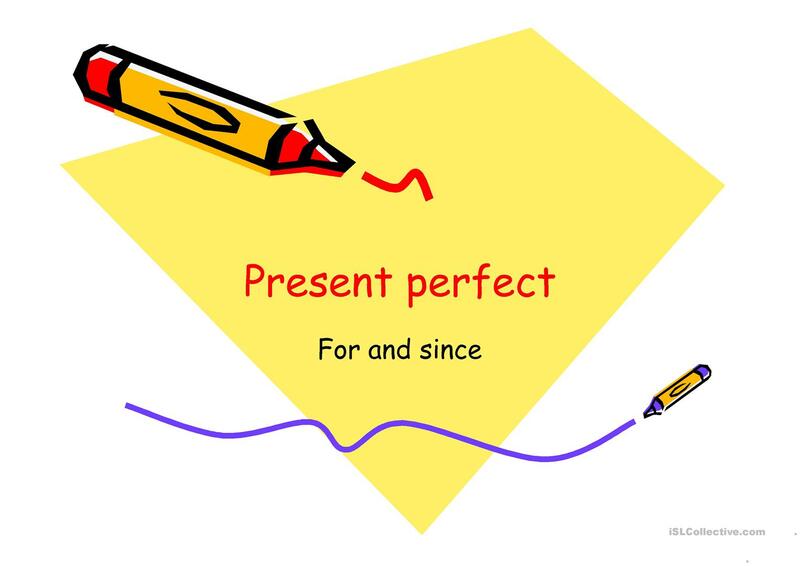 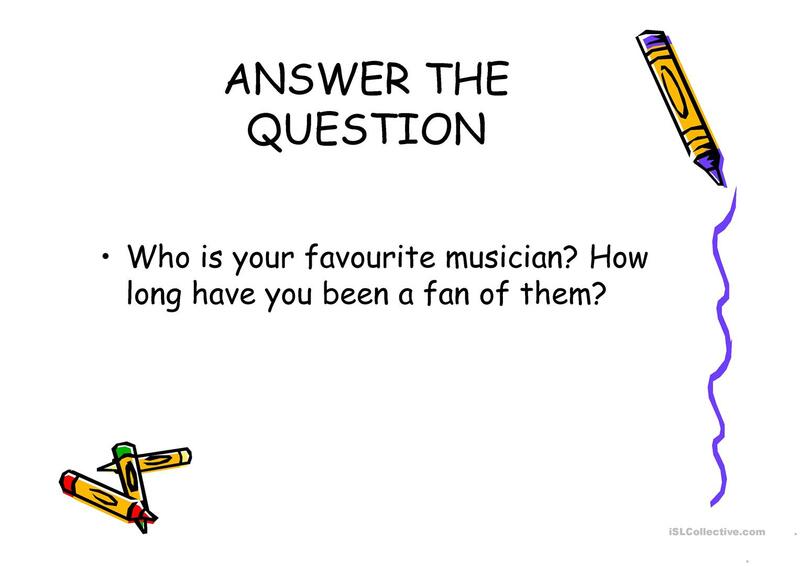 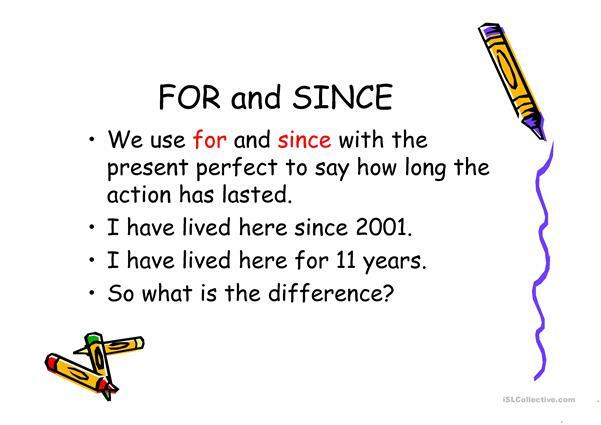 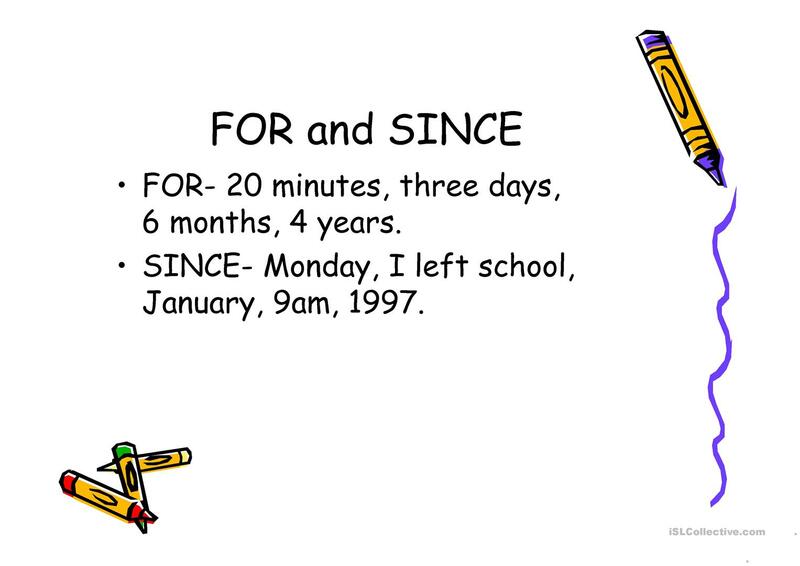 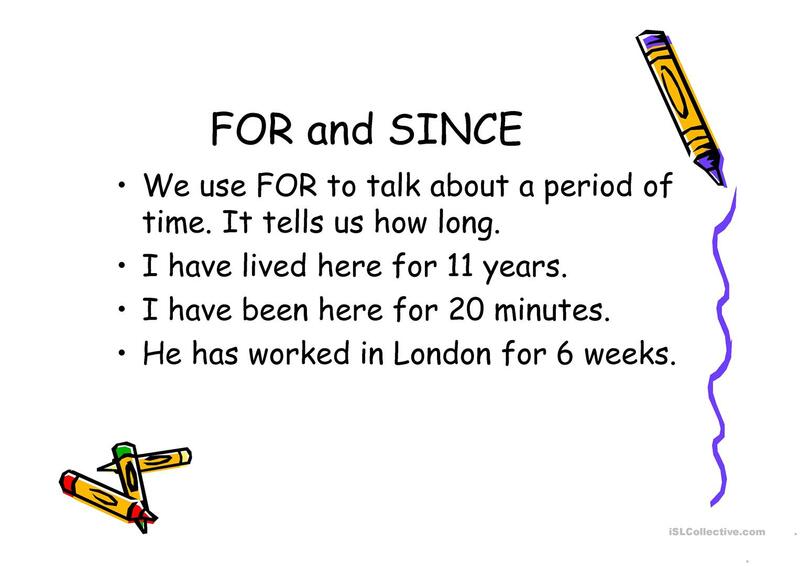 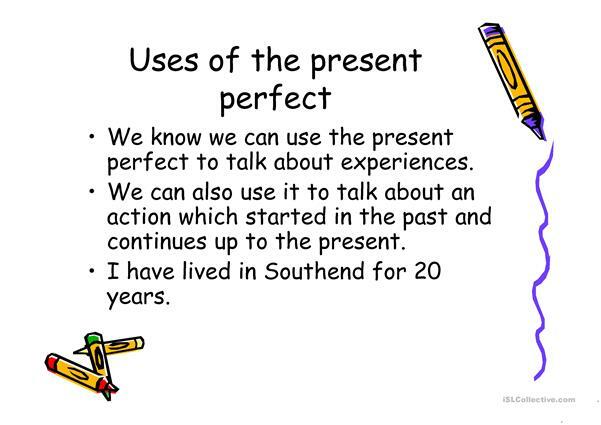 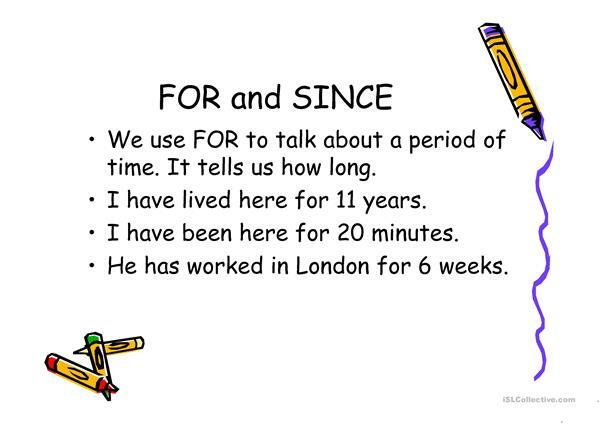 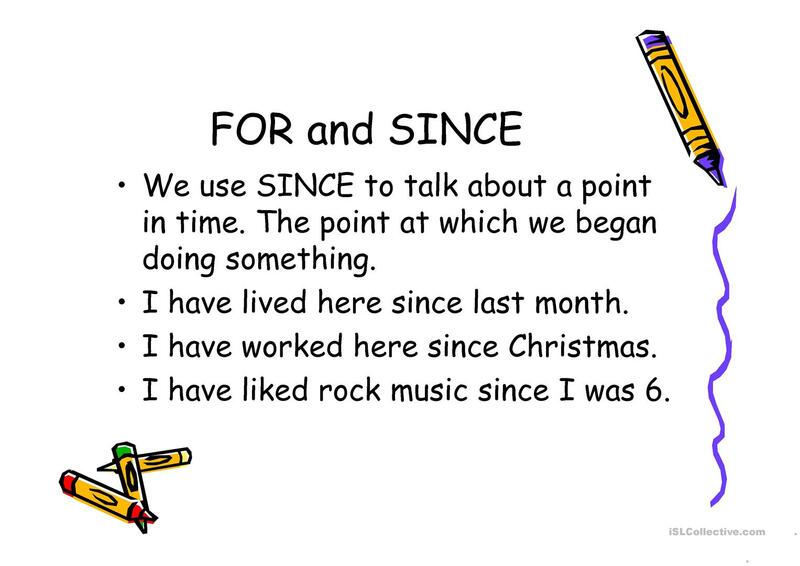 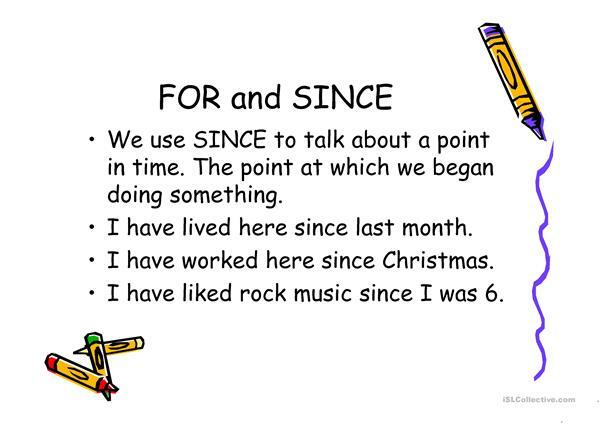 a presentation to introduce students to using for and since with the present perfect tense. The activity i used mid way through was to have the heading FOR and SINCE and they have to put the words (found in presentation) under the correct headings. 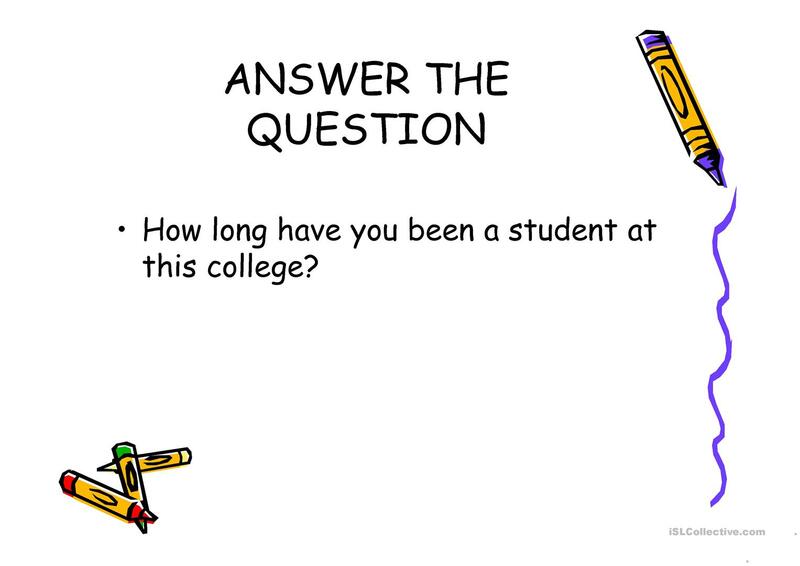 The above downloadable printable is best suited for high school students and adults at Intermediate (B1) and Upper-intermediate (B2) level. 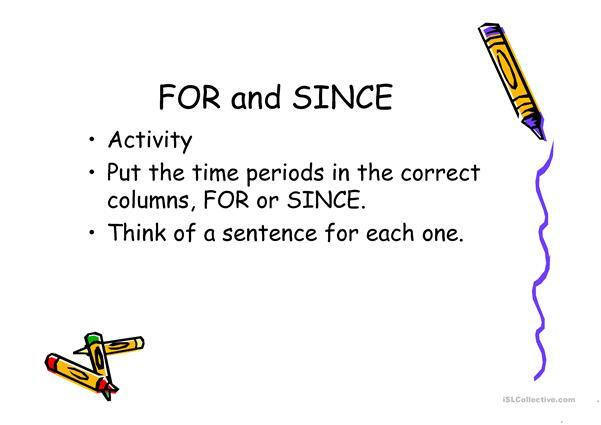 It is great for consolidating Verb tenses in English, and was designed for improving your learners' Speaking, Reading and Writing skills.